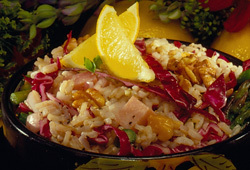 Blue Ribbon® Whole Grain Brown rice and White rice -- family favorites for all your favorite rice recipes. Look for us at your local grocer ! !